No one likes to take on a move by themselves, but not everyone decides to hire a moving company. Some people prefer to have their friends and family help them out. In most cases, though, professional movers are the best option. You just have to know what to look for when hiring a moving company to get quality results without paying an arm and a leg. Here are four things you need to do when planning your move with a professional moving company. Are you moving across the country or down the street? Do you need your movers to handle all the items you own or would you rather they move your furniture and other large things? Make a list of all the support you need before you start looking for a moving company. This helps you narrow down the search and identify the kind of value one company can offer you versus another. Your moving research begins with the basic services you need, but it has to do with much more. Look into how long a particular moving company has been in business and all the areas they operate in. Read the reviews to see what past customers have to say and check that they’re certified, professionals. Research a mover’s license number, their references, and complaint history before signing a contract. All of these details do matter. The last thing you want is to end up with unqualified movers just because you didn’t take the time to see whether or not they were capable and how good (or bad) the reviews were. What if you have a few professional movers to choose from and you can’t decide which to hire? Contact each one after you’ve done your research and get a written moving estimate. This shouldn’t be done over the phone. The most accurate moving quotes are from companies who send someone out to assess your moving needs or can provide a virtual in-home tour of all your belongings. This also gives you a chance to get a feel for each company’s work ethic and level of professionalism and will provide you with the opportunity to ask questions. While professional movers do their best to avoid mishaps with belonging, sometimes accidents occur and for that reason, you need to make sure you have the right moving protection plan in place before the move. Most moving companies offer moving insurance as full value protection (FVP). This means movers are responsible for repairing or replacing items that are lost, stolen, or damaged. FVP covers everything from delicate, expensive china to vintage furniture and family heirlooms. Like other types of insurance, moving company insurance comes with a deductible and standard rate. The FVP varies from company to company. Many companies also have additional protection options available to ensure that your belongings are fully covered by unforeseen damage during the move. Make sure you cover this with your professional moving company before the move. 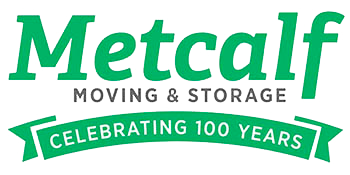 Here’s one more tip to keep in mind when hiring a moving company: hire Metcalf Moving & Storage. With almost 100 years of experience in the Minnesota area and beyond, our team has become experts in home and commercial moving support. Click here to contact us today and discover what our professionals can do for you.